Fun Group Training Classes Designed to Shred Fat, Tone Muscles, and Promote Health. Power Classes are comprised of high intensity, all-out total body workout designed to completely incinerate calories. Training is designed with total body movements, Functional Strengthening, and period of High Intensity Interval Training. Get ready to add HIIT workouts to your life and take your fitness to the next level. You’ll be addicted to the results. These HIIT workouts build cardiovascular fitness while improving strength, building lean muscle and maximizing calorie burn. • Cardio Room that allows for pre and post workout cardio. Our cancellation policy is 3 hours prior to class start time. If you cancel after that 3 hour window, you will be charged the price of a single class or lose that class from your package. If you have a confirmed reservation for one class and get into another from the waitlist within the late cancel period, you will be charged for both spots so please be cautious of double booking. Our memberships to Power Classes enable frequent training at affordable prices. Successfully reaching goals are a direct result of strategic dedication and consistency over a period of time. We believe in rewarding commitment and consistency by offering discounted membership based on the term of the contract. All memberships listed below include 12 sessions per month that we recommend using 3 times per week. We offer an optional Unlimited classes upgrade if you have a special event like a wedding or vacation coming up soon. All Power Burn Class Memberships can be upgraded to unlimited sessions on a month to month basis regardless of membership Length for an additional $35. When you no longer need to train more than 3 times per week you can revert back to your normal contract frequency. Out intention is to allow complete freedom in choosing when you want to up the frequency of your training. We're here to help! Live with purpose, train with intent. First, register by creating an account online with your phone number and email. You must have paid classes in your account in order to reserve a class. To book a class, simply choose a class and click confirm. You can check your schedule at anytime in your account. You can book a class up to 7 days in advance. If the class you want is full, add yourself to the waitlist. As class reservations are canceled, the list moves up automatically and emails the next person. If you’re emailed and can’t make it, cancel online or call the studio. If you sign up for the waitlist, it’s the same as signing up for a class – if you make it in and don’t cancel in advance, we expect to see you! If you move in off the waitlist more than 30 minutes prior to class and do not attend, you will receive a late cancel charge. Less than 30 minutes, you will be early canceled if you can’t make it. Did a current member refer you? You will receive a new member discount on your first month's payment and they will receive a complimentary month during the next cycle! All Power Class Memberships can be upgraded to unlimited sessions on a month to month basis regardless of membership Length for an additional $35. HYDRATE + FUEL: Drink plenty of water and have a light snack. We have a water-fill station so we encourage you to bring your own bottle. We believe in reducing plastic to protect the earth so bring a re-suable bottle. ATTIRE + SHOES: We recommend wearing athletic attire, form fitting pants or shorts, and of course, socks. Footwear is extremely important and we recommend you wear a shoe designed for cross training that has a firmer sole. If the heel is more elevated with a squishy sole then the wearer loses stability. CHECK IN: Arrive 10 minutes early and check in via the Check in terminal located near the door. You will have to select the Class you signed up for and press the confirm button next to your name. ETIQUETTE: Bring good vibes into the Power Center and treat others how you’d like to be treated. To preserve the experience and respect the ritual, we do not allow cell phones in the workspace. If you are a doctor on call or have a sick family member, you are welcome to leave your phone with the front desk. SAFETY: Our classes are designed to push you to your limits, but it's important to listen to your body and and remember that you are in control of your own tempo. 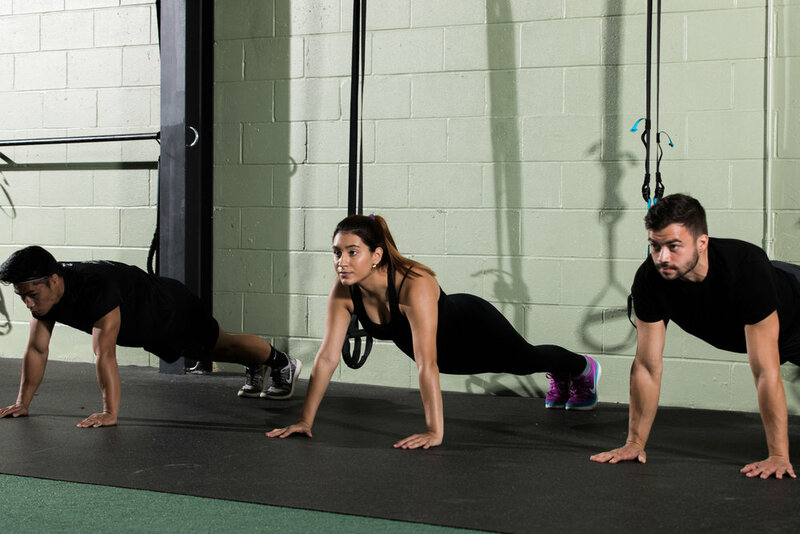 The Power Burn Class is the perfect environment for each member to take every class at a pace that works for them.